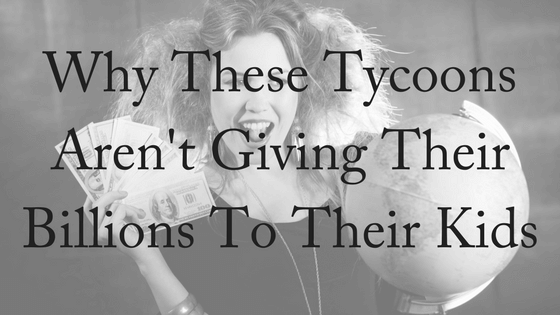 They’re worth billions, but these tycoons have decided that their kids can’t have it. Can leaving a big inheritance to your children ruin them? These tycoons believe so and have publicly declared they will not leave their fortunes to their kids. Gina Rinehart – mining billionaire: Court documents show that she doesn’t believe her four children are fit to manage the family trust, claiming they do not possess the necessary capacity, skill, knowledge, experience, judgement or responsible work ethic. While it’s unlikely that we will have billions to worry about giving away, good estate planning practice takes this question into account. Do you want to leave everything you own to your children and/or grandchildren? Would you be concerned if they received their inheritance at a young age? Are you concerned that your children and/or grandchildren may not manage inherited money well? These questions are as relevant for you as they are for the tycoons mentioned above. It is very important that you begin your estate plan today, as you never know when it will be needed to distribute your estate. You need to start asking yourself the important questions such as: do you want to leave your estate to your family? Or do you want your income to go to charities that you think will have benefit? Whatever the case, the strategies listed below can help with your estate plan. It is a good idea to begin looking at your income and finances and begin setting goals. Goals can include saving for a new house or setting aside money for your retirement. You may find that after discussing your goals, you will need to make some adjustments in finances to ensure you reach your goals. What happens to your estate planning if you reach those goals? Who will benefit? It is an essential idea to write your will now. The assets you have now may not be included in your previous will. The children and grandchildren you had when you wrote your will may have increased in number. It is essential to make sure you have addressed and discussed what you wish to do with every asset, and included every relevant beneficiary. As time goes by, your circumstances will change, and it’s important that your estate planning reflects this. 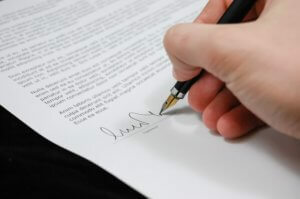 An important part of estate planning is ensuring that your family knows your wishes. If they do not know what you wish to do with your estate, they may start fighting or arguing over your estate. A good estate plan can take into account these questions and impose limits if you have concerns, such as age requirements. If you’d like to discuss this further with a specialist in estate planning, don’t hesitate to contact us today!